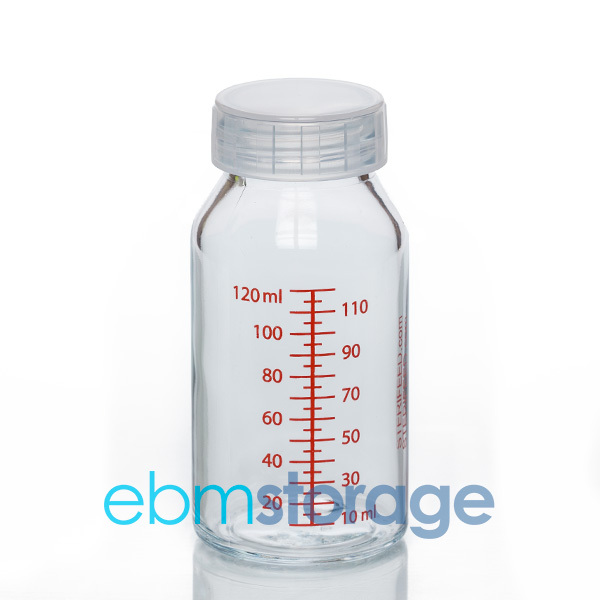 Our Sterifeed glass breast milk bottles are free from any chemical which may interact with your milk. Sterifeed glass bottles are made from Borosilicate, which unlike more common glass types, has excellent resistance to thermal shock and thermal stress. Laboratory equipment and glass kitchenware typically utilise this type of glass. Sterifeed glass bottles will screw directly to Ameda, ARDO or Medela breast shields and breast shield adapters and accept the full range of Sterifeed teats. Sterifeed glass bottles may be reused following careful sterilisation by electric steam steriliser, cold water tank (Milton or similar), boiling or autoclave. The ideal companion to a Sterifeed bottle is a Sterifeed teat. See the links within the top menu on this page. Sterifeed glass bottles will screw directly to narrow neck (standard) breast pump fittings by Ameda, ARDO, Medela and Lansinoh. They will not fit wide neck systems such as Avent, Tommee Tippee or Nuk.